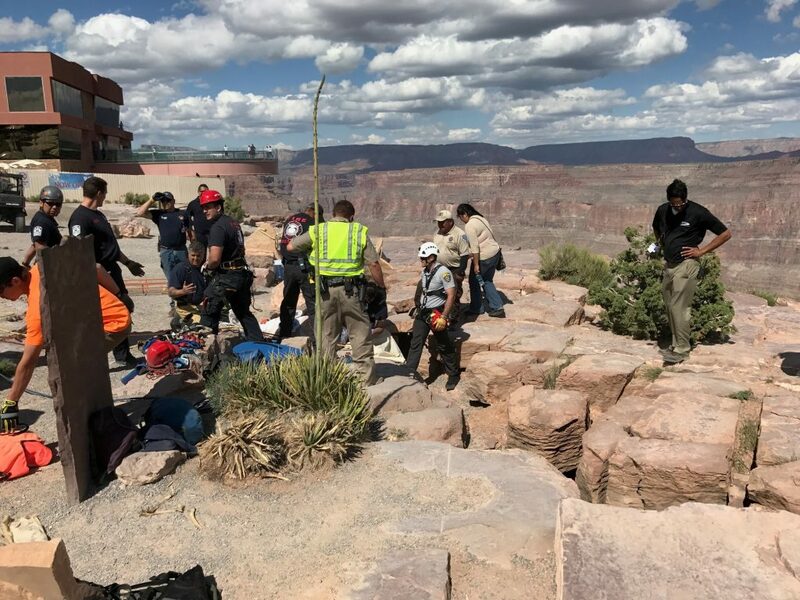 ST. GEORGE — Emergency crews rescued a 70-year-old woman who fell approximately 50 feet into a deep crack at the Grand Canyon Tuesday afternoon. 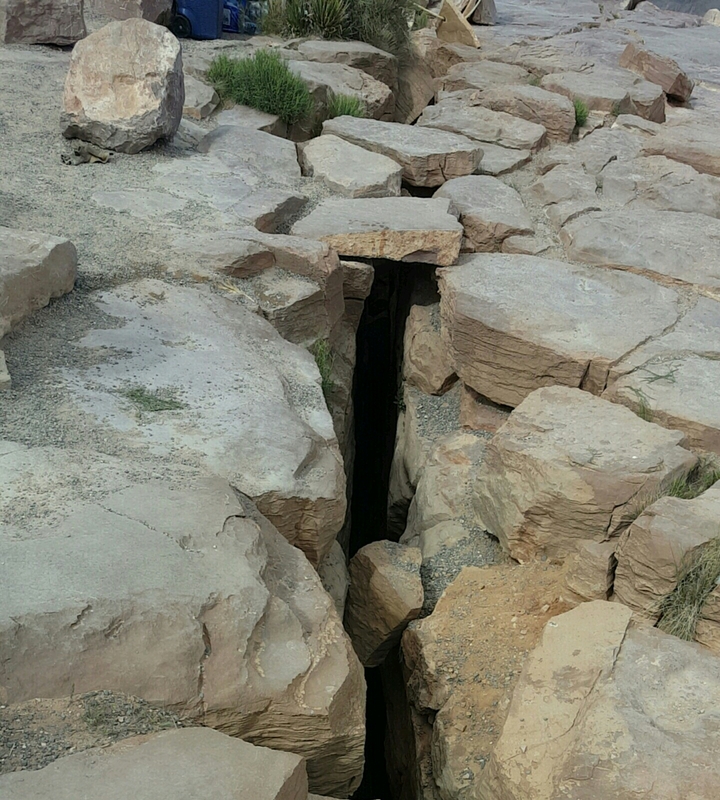 The woman reportedly became wedged in the rock, preventing her from falling to the bottom. 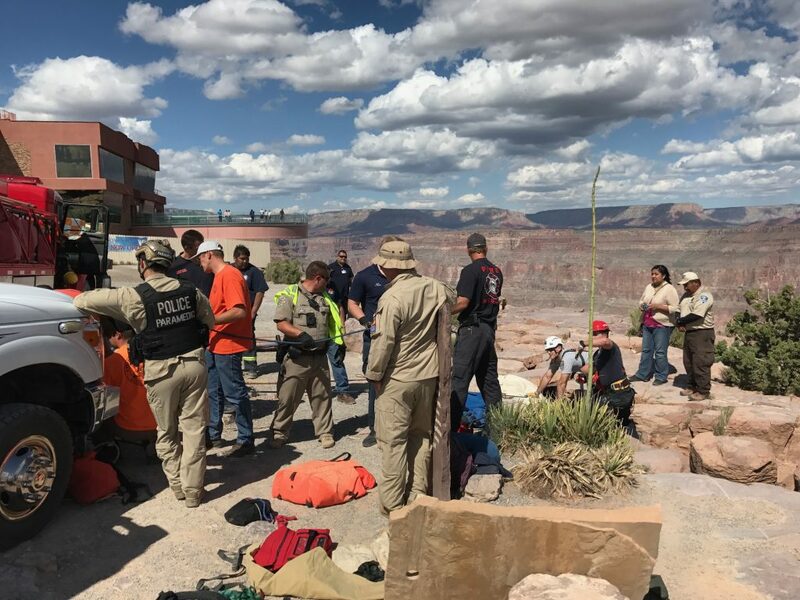 At approximately 12:30 p.m. Tuesday, search and rescue crews were dispatched to the Grand Canyon West near the Skywalk to perform a rope rescue, according to a statement issued Wednesday by the Mohave County Sheriff’s Office. The Illinois woman had fallen into a deep crack located about 10 yards from the canyon, according to the Sheriff’s Office. After setting up a rope system, a search and rescue member was lowered to the woman. The woman was immediately secured with the rope and lifted a few inches to assist her with her breathing, the Sheriff’s Office said. The woman, who sustained several cuts, scratches and bruises during the fall, was then hoisted to safety. The woman was subsequently airlifted by Mercy Medical Helicopter to the University Medical Center in Las Vegas, Nevada, for treatment. 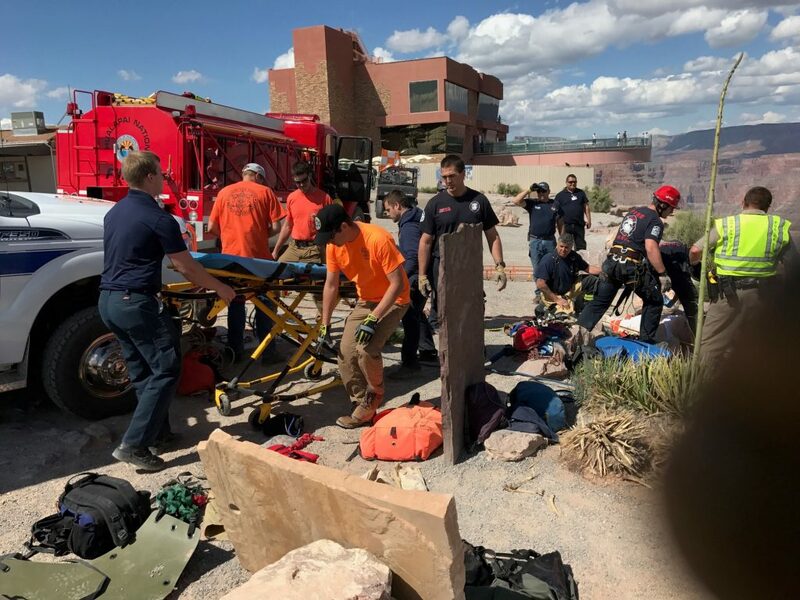 Members of the Grand Canyon West Fire Department and 10 Mohave County Sheriff’s Search and Rescue members responded to the incident. There are no less than eight references to the “70-year-old woman” in this article. I fail to understand what her age has to do with anything. I guess I should be grateful she wasn’t referred to as “elderly”. How about just saying an “Illinois woman” or “woman”? I wonder how the elderly woman fell into the crack? Maybe she was daydreaming about driving very slowly to Costco and gorging herself on samples.